One of my ancestral families is ARNOTT. We have traced the ARMOTTs back to Brechin, Angus, Scotland. Some came to Brooklyn, New York, USA. My father’s first name was Arnott in honour of his ancestors. 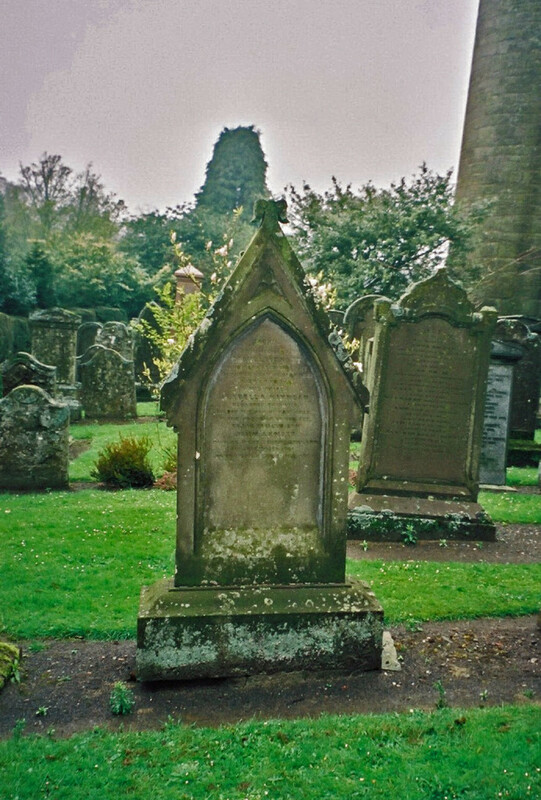 They are buried in the old graveyard, at Brechin Cathedral. Their stone is between the cathedral and the valley. 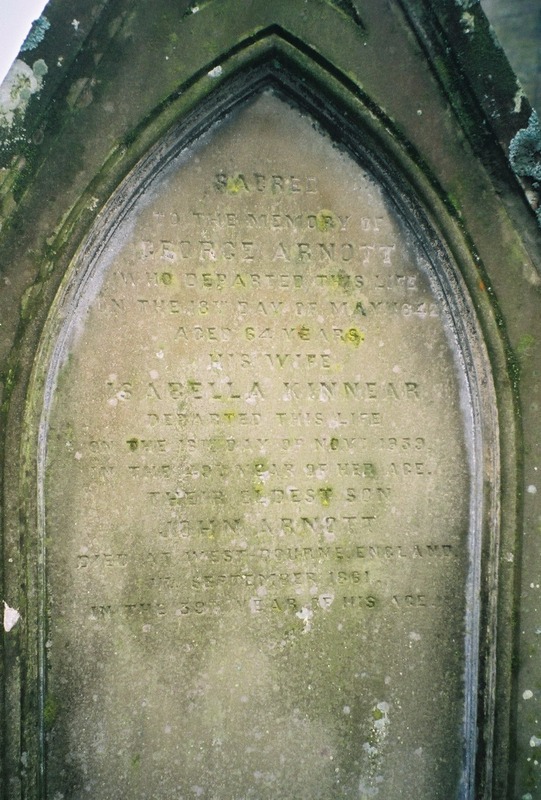 George ARNOTT died 1842 & w Isabella KINNEAR died 1839 tombstone Brechin Scotland. Their daughter Margaret ARNOTT married William Steven in 1841. This ARNOTT branch of our family was remembered with pride. My Grandfather’s middle name was Arnott and my father’s first name was Arnott. Having said that, why did my father go though most of his life being known as “Pete”? He told us that when he was a very young boy in school in St. Catharines, Ontario where he was born, a friend would come to walk to school with him. The friend would stand outside the kitchen window and call out to him “ARRRRRR-NUT! ARRRRRRR-NUT!” Dad said “Call me Pete.” After that, everyone, including his parents ended up calling him Pete!